Brian grew up in the Pacific Northwest and moved to Montana over 20 years ago to live the dream of an outdoor life-style and pursue a career in forestry. 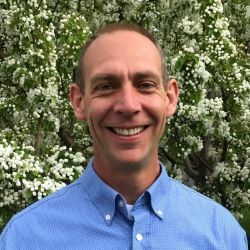 After graduating from the University of Montana in 2000 with a bachelor degree in Natural Resource Management, he continued his career as a forester in the inland northwest stewarding forest lands for clean water, timber production and sustainability. More recently, Brian had been managing the land sales program in Montana for industrial forest land owner here in Montana. This experience was significant, providing an opportunity to branch into a leadership role focused toward marketing, negotiating and shepherding dozens of transactions to closing. His success can be measured by acres and dollars, but more importantly Brian reflects on the professional relationships and experiences developed with a multitude of buyers, public and private land managers, and real estate professionals during these years as his most valuable asset. Brian’s experience he has earned a reputation among those he has worked with as being honest, forthcoming and timely. His roots and passion are in LAND. If you are a buyer or seller with interest in large land holdings and are seeking a knowledgeable professional to help you with your real estate solution, consider working with Brian. Let him put his experience to work for you.